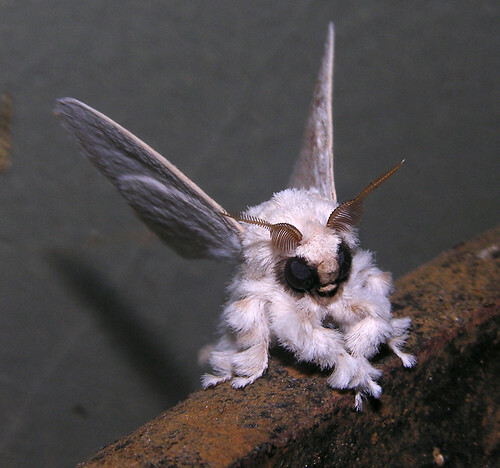 Poodle moth, Venezuela, a photo by artour_a on Flickr. New Earth-like planet discovered: “Astronomers have discovered a potentially habitable planet of similar size to Earth in orbit around a nearby star. A team of planet hunters spotted the alien world circling a red dwarf star called Gliese 581, 20 light years away. 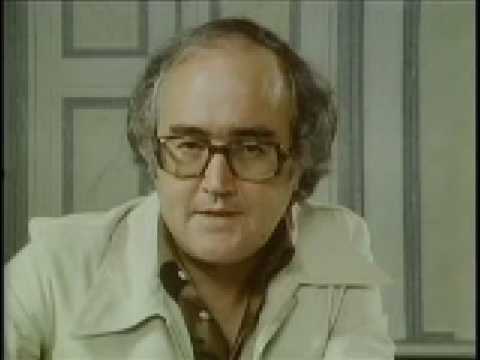 James Burke: An Appreciation: “Television host, author and historian, Burke developed a wonderful and highly entertaining way of seeing the world as a connected whole, rather than the sum of random events. In his shows Connections, Connections2, and The Day the Universe Changed, he illustrated vast webs of related events, showing that history is not fully understood in a purely linear fashion, and that over-focusing on particular aspects of history or science blurs the big picture…. 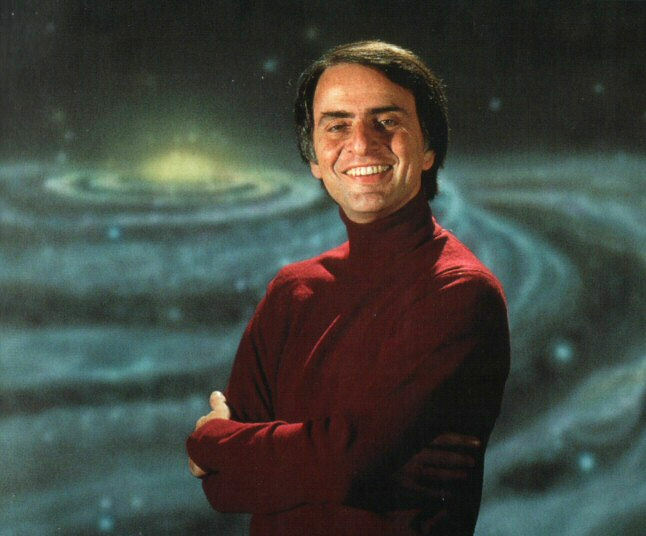 Earlier, I posted a brief shout out to Carl Sagan, astronomer and host of the groundbreaking TV show, Cosmos, first broadcast on PBS in 1980. I can’t say the show turned me on to astronomy—science fiction and the space program had done that years before. But it was exciting and energizing, and it made science seem cool (for certain values of coolness) and profound in ways that perhaps hadn’t sufficiently registered before. Like Sagan, Burke had real style—albeit a nerdy kind of style. But Burke was less serious, less “profound” than Sagan, and so clearly excited and having fun that it was quite infectious. And what we got infected with was an interest in and knowledge about the connections in history, and in particular between science and history. 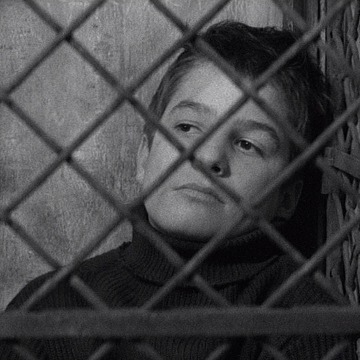 I suspect that for many people, like me, it made the history they were getting at school seem dull and limited by comparison. And, frankly, Burke was just such a wild man—running around in his safari leisure suits which seem like such a style fail now—in love with his ability to see these often wacky and unexpected connections. He’s a hoot, a pleasure. Even those safari suits look kinda good on him, looking back now, their style-fail qualities suiting his enthusiastic nerdiness. 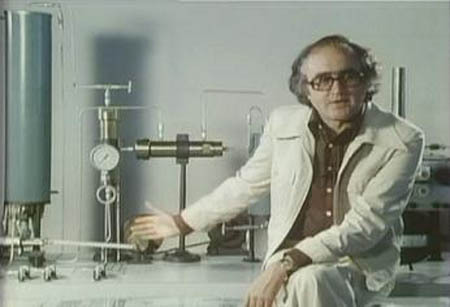 In these times, when science has become so much more obviously central not only to government policy, but to our hopes and fears for the planet—I’m thinking in particular of climate change—we could use some smart, funny and engaging popularizers like James Burke and Carl Sagan. But don’t think that just because these shows are thirty years old, they don’t still have a lot to offer. Some of the science in Cosmos and the history in Connections may no longer be entirely accurate or current, but most of it is, and the main thrusts and arguments are as persuasive and interesting now as then. The pleasures of lying on the grass on a warm day, the sun on your face, combined with a pleasurable engagement with physics and astronomy, even cosmology. A big thinker with a big heart.